Imperial Japanese soldiers were notorious for following their superiors to certain death. Their enemies in the Pacific War perceived their obedience as blind, and derided them as “cattle.” Yet the Japanese Army was arguably one of the most disobedient armies in the world. Officers repeatedly staged coups d’états, violent insurrections and political assassinations, while their associates defied orders given by both the government and high command, launched independent military operations against other countries, and in two notorious cases conspired to assassinate foreign leaders. The purpose of this book, the first of its kind in English, is to explain the culture of rebellion and resistance in the Japanese armed forces. It was a culture created by a series of seemingly innocent government decisions, each reasonable in its own right. These decisions unintentionally led to a gradual weakening of the Japanese government’s control over its army and navy. The consequences were dire, as the armed forces dragged the government into more and more of China in the 1930s, and finally into the Pacific War. Curse on this Country, a book based on original documents in fifteen archives and five different languages, sheds light on the underground culture of insubordination that became increasingly dominant in the Japanese armed forces, until it made the Pacific War possible. It argues that assassinations and other acts of brazen defiance were the moving force in modern Japanese history – not blind obedience as is usually believed. A veteran of Israeli intelligence, Danny Orbach is a senior lecturer for history and Asian studies at the Hebrew University of Jerusalem. 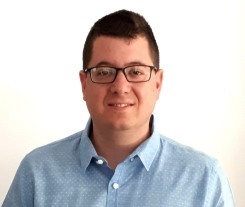 He studied for more than ten years in Tel Aviv, Tokyo and Harvard Universities. As a historian, commentator and political blogger, he has published extensively on German, Japanese, Chinese, Israeli and Middle Eastern history, with a special focus on military resistance, disobedience, rebellions and political assassinations. He is also studying the history of espionage, intelligence and military adventurers. "The original and compelling Curse on This Country makes a significant contribution to both military history and the history of Japan. Danny Orbach offers a new interpretation of the relationship between the Japanese army and government that goes a long way to explaining how Japan ended up fighting World War II. Orbach has delved deeply into the archives that reveal how politicians, army officers, and ruffians felt about each other as individuals. He makes a convincing case for a culture of military insubordination in Japan that derived from historical precedent, structure flaws, and individual initiatives. By idealizing men who had been persecuted, if not executed, for crimes against the state, the Meiji government inadvertently promoted the culture of individual action that later officials found impossible to control." "(Orbach) ties together the many violent events from the 1870s through the 1930s that were often studied in isolation to argue that both a culture of insubordination in the army that originated among the pro-emperor zealots of the 1860s and ideological hopes for the country facilitated unsanctioned violence connected to the army. Summing Up: Recommended. All levels/libraries." "Orbach’s book is not just an important contribution to the historiography of Japan; it adds a key piece to the puzzle of understanding state-military relations across the global nineteenth century." "Orbach's is a bold book. He asserts that the Imperial Japanese Army was arguably one of the most disobedient armed forces in modern history. As the source of that insubordination, Orbach goes back to as early as the 1860s to identify what he calls "bugs," which "in certain situations, under specific conditions,... cause[d] severe failures that eventually undermined the entire system... conceptual objections aside, I appreciated Orbach's original interpretation, his extensive research, and the fervor of his prose. Curse on this Country makes an important contribution to both military history and the history of Japan." 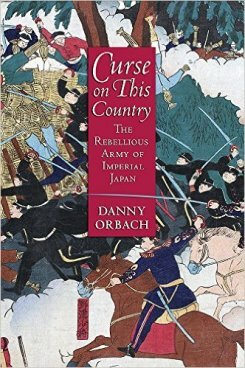 "Danny Orbach has written a splendid book in which he complicates our understanding of the road to war by demonstrating how a tradition of insubordinate military actions from below led modern Japan from the Meiji Restoration in the 1860s to World War II in the late 1930s.... His book is a gripping read." " Masterful.... Well-crafted and lucidly explained, Curse on This Country takes us on a journey from the bakumatsu era through a series of acts of insubordination, unauthorized military actions abroad, civil-military clashes, and rebellion.... Most of these incidents are well known to a historian of modern Japan, but Orbach shines new light on each incident and the circumstances surrounding them. However, the book's greatest contribution is that―to the best of this reviewer's knowledge―for the first time it ties all these together in one historical narrative, and as aspects of an evolving, but nevertheless single, phenomenon of Japan's modern army: its 'culture of subordination.'... Curse on This Country is a rich and sophisticated history that deserves to be read widely by students of modern Japanese history and military history."